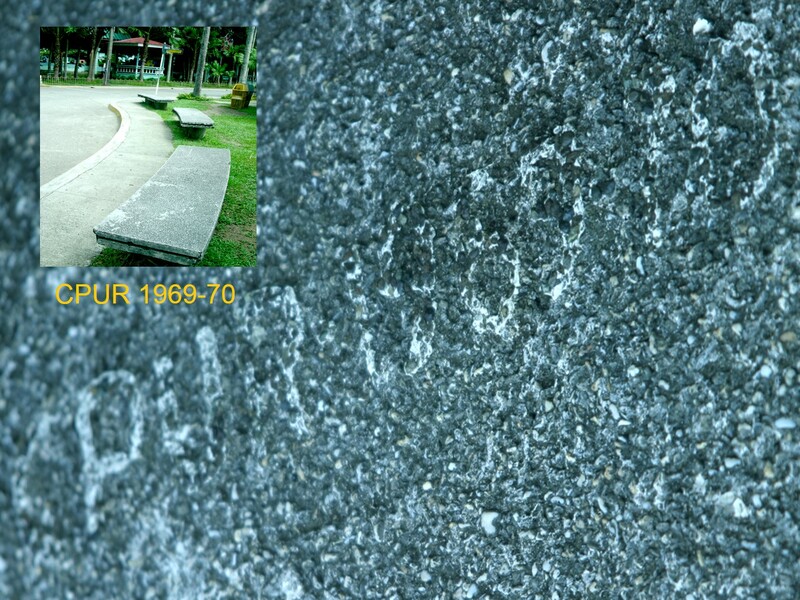 These are photos of CPUR benches that Nygel John Melitado took in 2007. 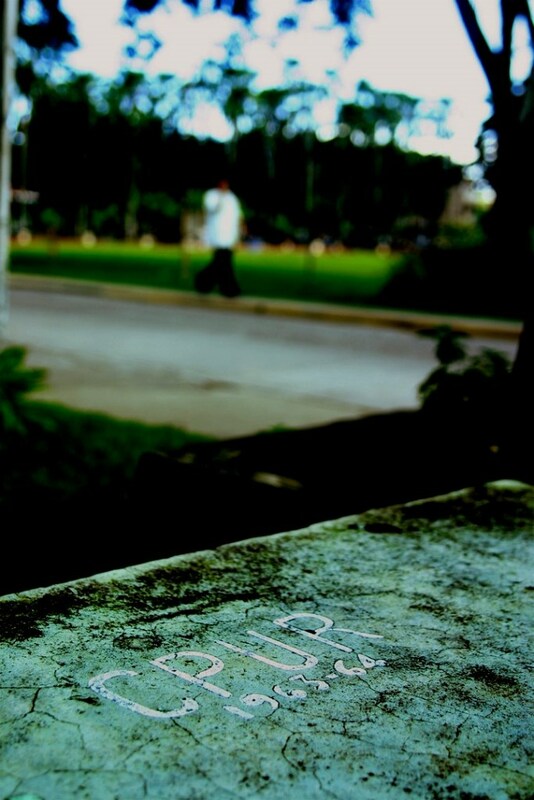 We used these photos for a mini-documentary in one of the episodes of the CPU TV program “CPU Derecho”. 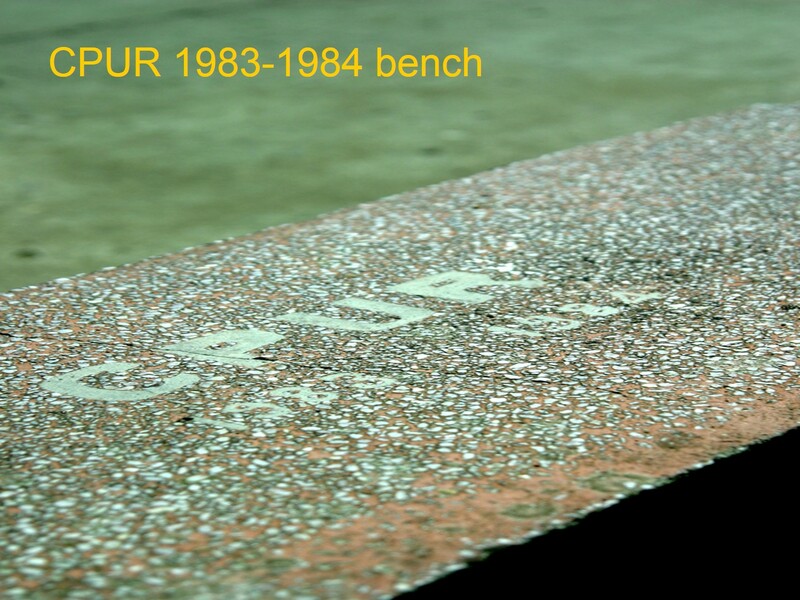 The concrete benches were projects of past CPU Republic from as far back as 1960s. Maybe a few of these simple CPUR edifices have remained and still serving their purpose. Most of these benches had to be destroyed, relocated and thrown around to give way to more elaborate campus developments. 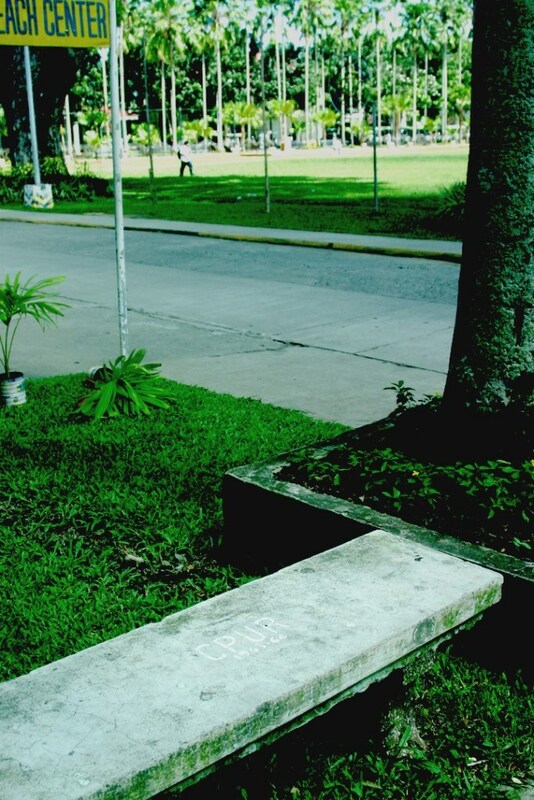 Behind every year period inscribed on these benches are stories of former student leaders whose leadership and character development began with the oldest student republic in the Philippines. 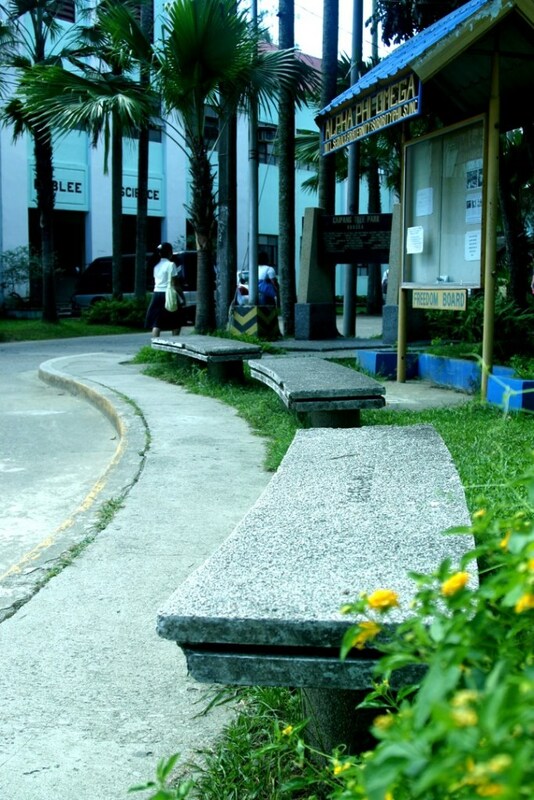 Well, if these benches could talk, they could probably narrate lots of campus stories. 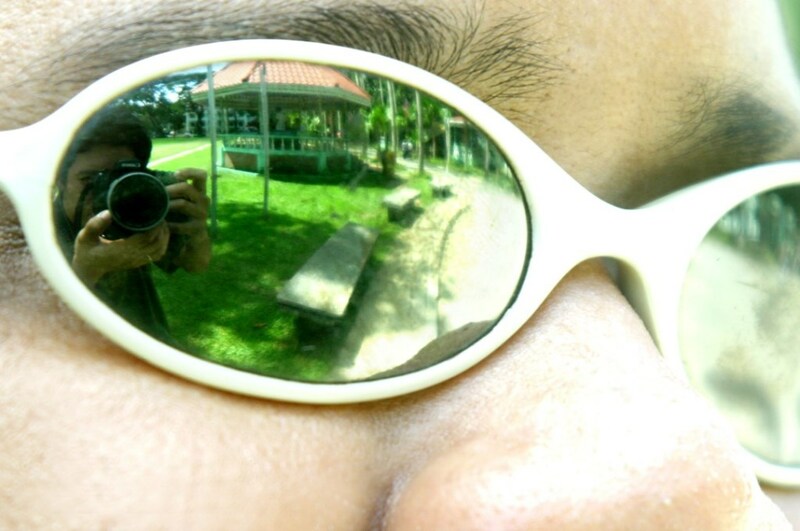 Please have a look and try to think and reminisce your CPU campus memories. At first, the Independents thought that their entry in the CPUR political arena was only transitory. But their noble cause became the ideals of the next line of leaders both those we were and were not involved in the movement. 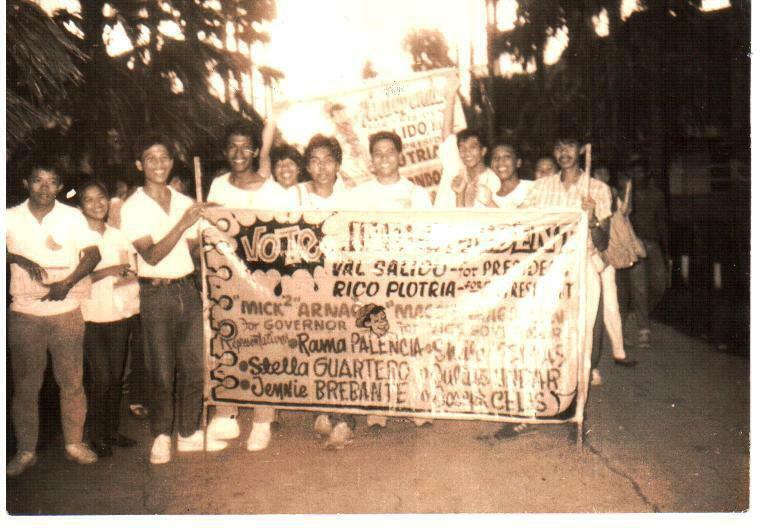 Thus, Peter Gape who was a senator in the Salido-Plotria administration and Jonan Castillon, Salido’s executive secretary organized the Student Independent Democratic Party or SIDP. The party maintained the slogan, “I am Independent! I am Free to Serve!” to remind SIDP leaders to work for the interest of the students and not for the party. 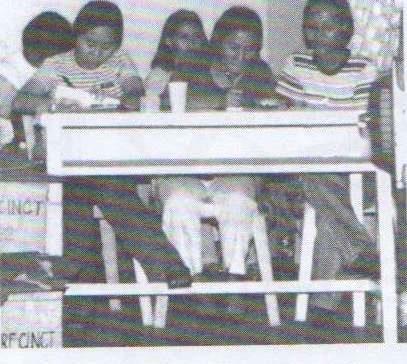 Peter Gape, then a senior Political Science student became the standard bearer of the SIDP in the SY 1988-89 CPUR elections. Peter Corvera of the College of Commerce and Accountancy ran as Gape’s Vice President. Both won the CPUR top posts. Gape who became popular in the campus for his oratorical skills and the former Red-Cross Youth chairperson did not have a hard time campaigning. 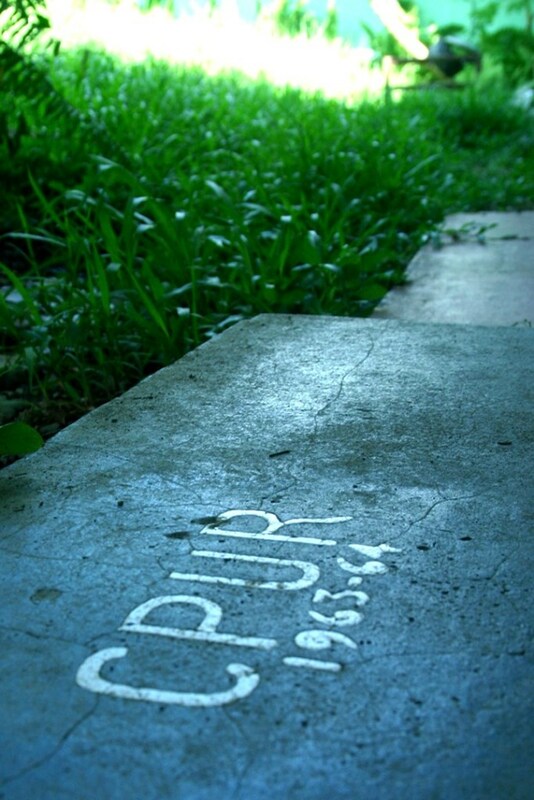 He reaped what the “Independents”, the forerunner of SIDP had sown—a dynamic CPUR. Gape’s greatest achievement was the installation of the electronic bell which plays “Central, My Central” during class period. Gape commmissioned Silverio Navarro, a fifth year electrical engineering student to design the electronic bell. During his term, Gape was able to work out the establishment of a cheaper XEROX copying services, which was then located at the old library building. He initiated the establishment of the CPU postal station. Perhaps, the House of Senate made a very unique move in the history of CPUR when it elected Artchil Fernandez as Senate President. Ten SIDP senators dominated the 12-member Senate. Making true the SIDP principle to work for the interest of the students, the Senate elected Mr. Fernandez because he was the most experienced and qualified among the group. 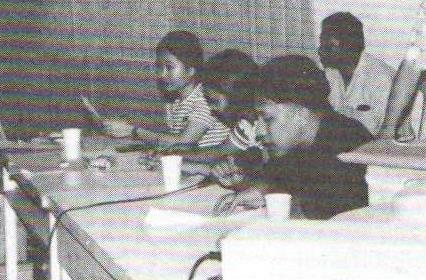 The SY 1989-1990 marked the third year of the SIDP in CPUR as Joseph Gensaya became the next CPUR president. Gensaya tried his best to work for a good CPUR. Despite the perception that he had very weak cabinet members, Gensaya was able to come up with significant achievements. CPUR participated in the establishment of the CPU Postal Station. Senator Brenda Guevarra (SIDP) donated uniforms for the CPU Band. Gensaya with the assistance of Senator Gilbert Longno (SIDP-Engineering) worked out the feasibility of setting up a radio station owned and managed by CPU. Many students scoffed upon the idea of a CPU radion staion. They thought that Gensaya’s promise would be realized within a year. The Central Philippine University Post Office was dedicated and inaugurated on February 1, 1990. Watch this short documentary about the CPU Post Office. Did you know that the CPU Republic, then led by Peter Penrod Gape, initiated its establishment? 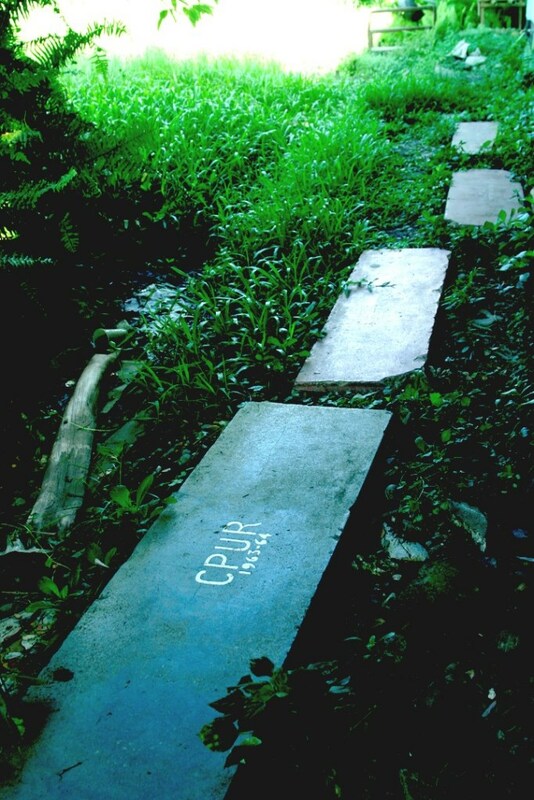 The project was fulfilled the following school year in Joseph Gensaya’s time as CPUR president. Also, after its inauguration, the Central Philippine University Post Office did not operate right away because the Philippine Postal Corporation was still looking for a personnel who does not smoke. CPU and the Postal Service Office (now Philippine Postal Corporation) forged an agreement. CPU had to provide the building and the postal company, the personnel and service. The CPU Post Office is a joint project of CPUR (led by Joseph Gensaya), CPU Development High School PTA (Mr. Bobby Rodriguez as president) and CPU. 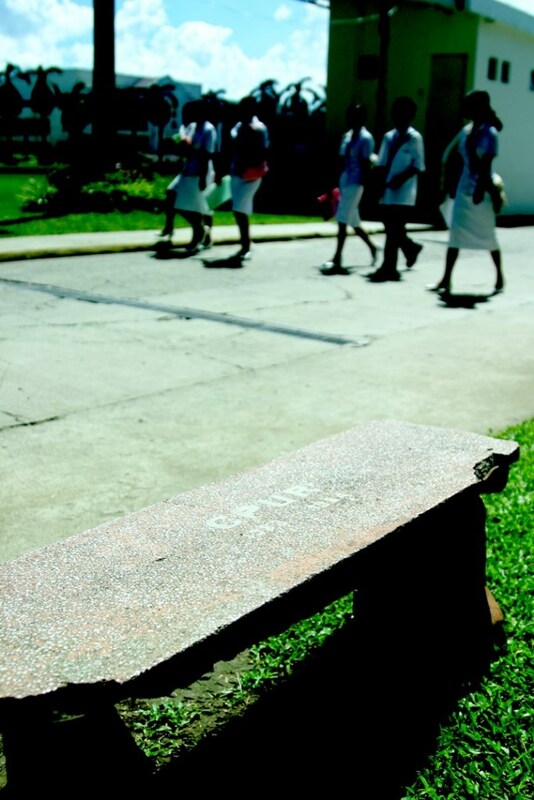 The CPU Post Office greatly benefited students whose families are from other provinces of Visayas, Mindanao, and Luzon. Sending through the post office was still the popular way of sending and receiving letters and cards at that time. With the advent of the Internet and wireless communication technologies, the postal system, which includes the Central Philippine University Post Office, has lost its popularity . To the students, the younger generations, and even middle-aged to senior adults who have learned how to communicate via Internet and mobile phones, sending through the CPU post office seems to be a thing of the past and labeled as “snail mail”. Sending money and package through the post office is now the last choice of clients. They prefer the fast courier and cash delivery companies available nowadays. Despite the odds, the Central Philippine University Post Office remains serving the CPU community and surrounding villages of Jaro, Iloilo City. Take time to watch the video and appreciate Central Philippine University Post Office.